I'm trying to run a simple command line using external tool utility. Where 'Add' is the name I gave the external tool and 'cmm add' is the actual command. No problems when running such command from a dos window. go into the "Parameters:" textfield of the external tool configuration. No, I use only 'cmm' in the command and 'add' in the parameters. 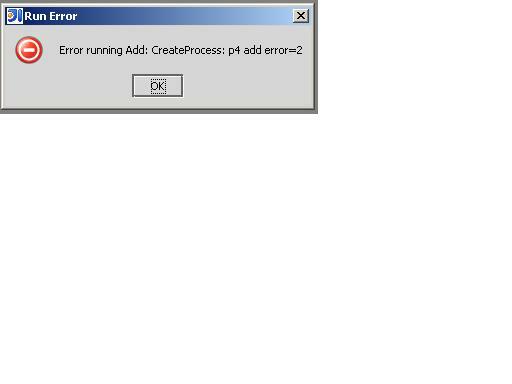 Even if I enable the existing Perforce Add command I get again CreateProcess error when trying to run it. executable in the program field, like "c:\somewhere\cmm.exe". It was really this problem that cmm was not an executable file and I had to use the full path to the exe file as you suggested.